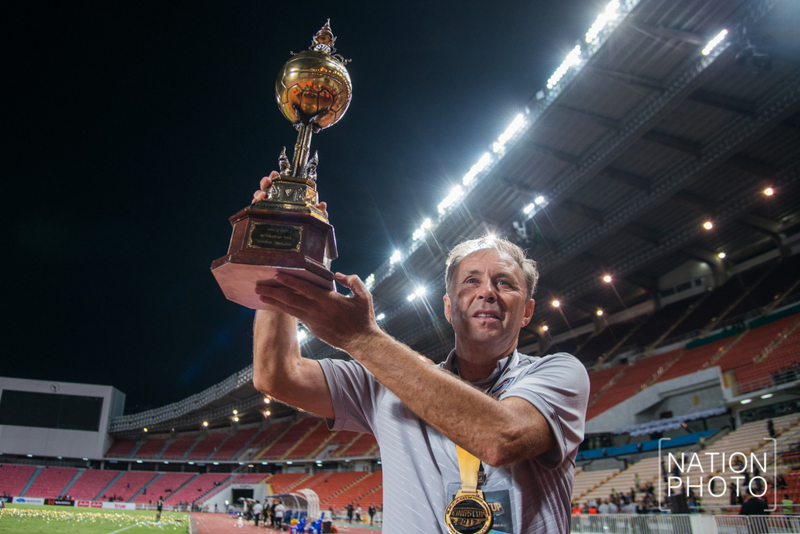 Serbian coach Milovan Rajevac has won his first major silverware with Thailand just three months after taking charge of the team. The former Ghana coach guided the side to clinch the King's Cup after beating Belarus in a penalty shootout at the Rajamangala National Stadium last Sunday. “I cannot rate it percentage wise but the team has improved in the past few months and won the King’s Cup. Thailand have taken their defensive game to another level,” said Rajevac durฌing a team visit to a sponsor yesterday. “We didn’t concede a goal in the last two games in the King’s Cup, which is a new dimension for Thai football. I’m satisfied with the performance of the team but there are still several areas which need to be improved,” he said. Milovan Rajevac guided Ghana to a historic quarter finish at the 2010 World Cup in South Africa.